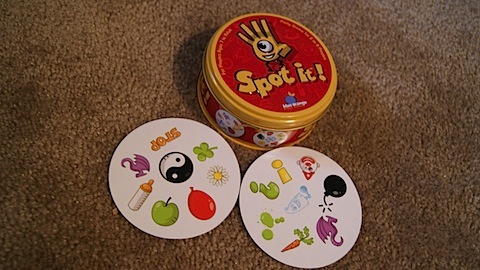 Have you heard of the game Spot It? 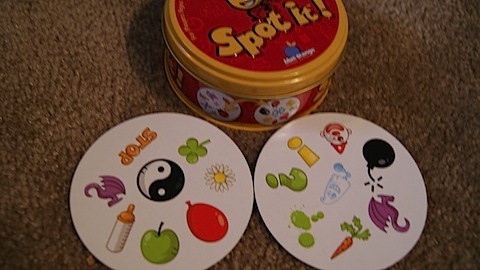 It’s a new game where you flip over two cards and see who can find the two matching objects on the cards. It’s a blast. 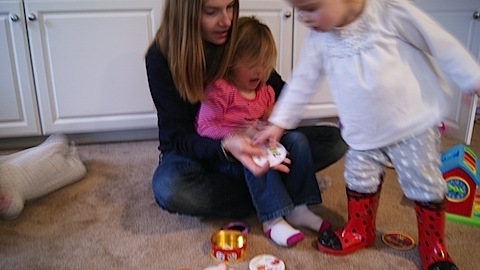 One of the rules of the game is you have to wear red lady bug boots and pants with stars on them. It’s just a thing you gotta do. But for real, it’s a great game. Something fun for a birthday gift or a travel game. Kids or adults can play. The hardest part for children would probably the naming of the objects. I don’t think Anna knows what a Yin-Yang is yet. 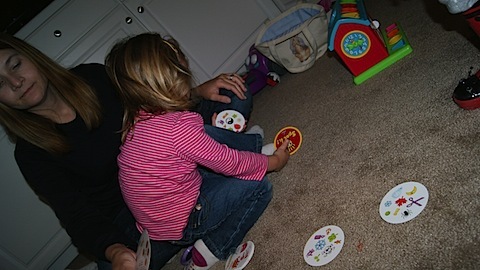 But any kid over the age of 3-4 could easily learn the objects and love playing! 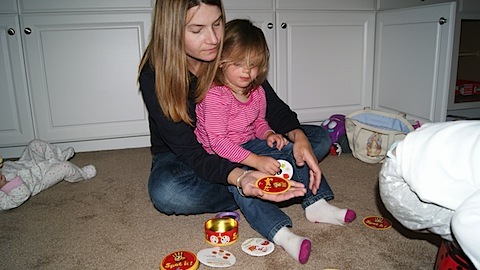 The other good news is that it comes with a few other ideas and ways to play so you can use the cards for a few things.